Grand Ole Opry and My Name is America Moving up the Indie Chart! First of all I want to thank everyone of you who reads this and tells us how much you enjoy it! You are the reason we do what we do and why we started this blog. You all told us you want to keep up with our adventures and journey, so here we are! God is amazing and deserves all the credit for every good thing that happens to us. If this is your first time to our blog here at www.toddallenherendeen.wordpress.com, you need to know that you can scroll down this page past this post and read all of our other stories from before! Catch up on all the fun, so to speak! We started this weekend, (which it really never felt like the last weekend ended, as were only home a day or so, haha) but we started this weekend Thursday at Gulf World Marine Park in Panama City Beach, FL, with our show. It was another fun night! We have two Thursdays left to perform there, November 3 and November 17. November 10 we will NOT be there, as we will be on a road trip. Read about where we are going here: https://toddallenherendeen.wordpress.com/2011/10/19/whats-our-tour-schedule-like-here-it-is/, (this is a past post here on the blog). Thursday night after the show we headed to Nashville, TN because we were invited by Jack Greene and his manager LeeAnn to attend the Grand Ole Opry Friday when Jack would be performing! We have to give a HUGE thank you to LeeAnn and Jack for EVERYTHING they did for us! It was an amazing time! We even got to be back stage and meet the Opry Stars before they went out to perform. We didn’t even have to be out in the audience at all, as there is room at the back of the stage so you can actually be right on the stage as the performers sing! Roaming the halls and seeing inside the dressing rooms and even hearing the acts pick and rehearse before they go on stage was an honor. Below you can see some of our pictures. Many of the performers that were there, I had had the wonderful opportunity to work with before. What was really incredible is that some of them remembered me before I even said anything to them! We met Mark Wills, Jimmy C Newman, Little Jimmy Dickens( Worked with before), Jeanni Seely (worked with before), Daryle Singltary (worked with before) and of course Jack Greene! Jack, by the way, did another fantastic performance, along with these other legends! We also met Opry musicians like Eddie Bayers and the Opry Announcer and legendary DJ Eddie Stubbs. We really had a fantastic experience and once again, it was thanks to Jack Greene and his manager LeeAnn! We have more exciting news, “My Name is America, ” our powerful patriotic Anthem, has moved up to number 24 on the Indie Charts! We sure hope it keeps climbing! Our next step in promoting it nationally is to put it with yet another radio promotion company and get it this time on more “Commercial” radio stations. These are the stations that chart on Billboard! How awesome would that be to even get on the billboard charts?! That is our goal, and we want to thank our sponsors Gulf World Marine Park and Holiday Inn Resort Panama City Beach, for helping get this incredible song’s message to the world! Speaking of Holiday Inn Resort in Panama City Beach, don’t forget we will be there for New Year’s Eve! Go to their website for more details. Don’t forget to check out our Tour Schedule on www.toddallenherendeen.com, as we have fun shows coming up in Northport, FL, New Smyrna Beach, FL, Sharon Springs, NY, New York City, NY, Alapaha, Ga and Dublin, GA! We’re also super excited Todd has been invited to sing “My Name Is America” at the Florida Tea Party Convention in Daytona, FL on November 5 and 6! The Republican Presidential Candidates will be there. We will keep you updated while on that road trip, here on the blog and on Facebook. Todd in the very cool “Stars and Stripes” dressing room back stage at the Grand Ole Opry! Do you realize who has walked this hall on their way out to go on stage?! Legends! Tons of them! Even the floor is cool back stage! Ernest Tubbs old bus in the Record Shop- super cool! Surprise Recording With Jack Greene, Talladega Race and My Name is America! Wow! We had such a blessed weekend. We want you all to know we thank you all for your wonderful support and interest in what we do! We write these updates for you guys! We are not bragging by any means, but we love to share our blessings and joy and you guys seem to love hearing about it! Thursday we had the absolute honor of country music legend and 40+ year Grand Ole Opry Member, Jack Greene, making a guest appearance on our show! He and his manager and family were in Panama City for the week and contacted us. They even had the opportunity to swim with the dolphins at Gulf World Marine Park (which is where we perform regularly and where the show was). Jack came out and my band played two of his hits “There Goes My Everything” and “Statue of a Fool.” He brought the house down!! Still an incredible voice. His manager then allowed me the wonderful opportunity to record a duet with him the next day! Thanks to Straight Arrow Studios in Panama City, FL and Tommy McCormick, we were able to get in the studio at the last minute and do the recording before I had to leave town to go to Talladega, AL for the races! I am honored and super super excited to get the finished copy. We sang “There Goes my Everything” and then did the gospel version of the same song, “He is my Everything.” It was so awesome! We will keep you posted on how to get a copy. We then headed directly to Talladega, AL on Friday Night so we could be there on Saturday for the Truck Race, so I could watch my new Buddy Jeffrey Earnhardt! He ended up getting wrecked out early, but I’m still Proud of him! I can’t wait to watch his career unfold. Saturday we got to get on pit road and see all the Sprint Cup Drivers Qualify. Then we got to watch the truck race. Our bus was parked in the infield right behind the start finish line. We have to thank our sponsors Holiday Inn Resort and Gulf World Marine Park for making this RACE WEEKEND happen!! Big thanks to Jimmy and George too! We have met some really wonderful folks in our journey! Sunday we got up and went back on pit road and got some more cool pictures. We got to climb up in one of the Pit crew boxes and got a picture too. We even got to meet and shake some drivers hands while they were waiting to be introduced before the race! You can see some of our pictures below. It was a good race. I was pulling for the Petty Team. We got our song “My Name is America” CD to several people and the bus got a lot of attention for sure in the infield! It was great. We are always working hard for our sponsors to get the song out. From Alabama we headed to Tallahassee to sing “My Name is America” at the capitol Monday morning. It’s always a pleasure to see proud Americans! Tuesday we have a show in Orlando for a big Native American conference. We head back to Panama City Beach and Thursday will have our regular show at Gulf World Marine Park’s tropical Garden Theatre. Friday and Saturday we were invited to go to the Grand Ole Opry as a guest of Jack Greene and his manager LeeAnn. We will definitely share that with you! Be sure and read our other past posts to know more of what’s happening. Our song “My Name is America” is currently #28 on the independent charts! Check it out here: http://indieworldcountry.com/index.html . With a couple of the military guys who sang before the race! Awesome! They let us up in one of the pit crew stands!!!! Angel and our Puppy Cilla, she goes everywhere! Allmendinger, Todd’s Driver- PETTY TEAM! Met some Sailors and Thanked them for their service! #43 PETTY Team is Todd’s! What’s Our Tour Schedule Like? Here it is…! Hi Everyone! We have some really cool shows coming up! First, don’t forget about This Thursday at Gulf World Maine Park, Our home Theatre and proud sponsor. We will have special Guest and Grand Ole Opry Star Jack Greene! 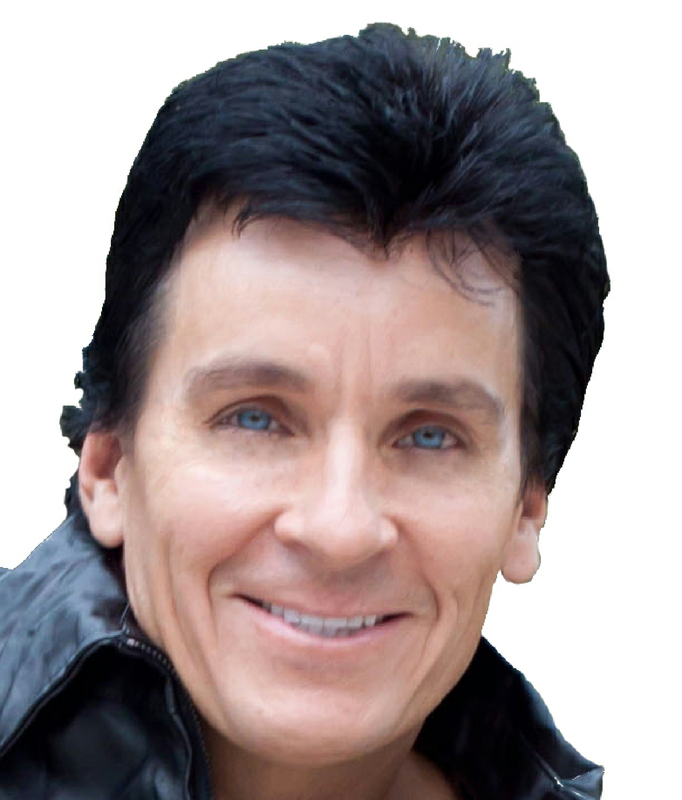 He will sing two of his biggest hits, “There Goes My Everything and “Statue of a Fool,” during our show! We only have Four Thursdays left at Gulf World this season. There will be no show at Gulf World Thursday Nov 10, as we will be on a road trip to NYC. Speaking of which, November 4, 5, 6 is a big political convention in Daytona, FL and they have asked me to Sing “My Name is America!” We are so honored and excited! We have a Show in Northport, FL that same day, but am able to fly from one to the other to make it all work! 🙂 On November 6 we will be in New Smyrna Beach at the First Church of The Nazarene for a fun filled show filled with oldies, gospel and more! (Did you know we perform quite often at different churches? We even have a ministry/gospel show or our regular show fits too, as you know it’s all family friendly!) From New Smyrna we head to Sharon Springs, New York where we will do a show at my drummer Vic’s old high school to give back to them and help raise some funds! I want to thank him for doing such a great job getting that show put together and sponsored! That’s November 8th and on November 9th we will be in New York City at the Plaza Hotel (remember the Movie Home Alone, that’s where he stayed!) We are performing at a Special Event Gala that evening. Then from NYC we head to Georgia. November 11 (Happy Veterans Day!) we will be in Alapaha, GA for the Station celebration. November 12 we’ll be rocking the house in Dublin, GA at The Theatre Dublin! Then we finally head home for a few days and perform our last show at Gulf World for this season on November 17th. November 18 WE HEAD TO KASKASKIA, ILLINOIS. We have had a lot of inquiries about us coming to Illinois, so HERE WE COME!! We head to Indiana also in December, so please go check out our entire schedule on www.toddallenherendeen.com, so you can catch a show somewhere! We are available for Christmas Parties and Events and have several already booked this season. We are so very thankful for our work and the joy it brings to everyone. I am honored to have been chosen to sing “My Name is America” and am SO glad you all love it as much as we do! Praying God’s Blessing on ALL of you! Thanks for your awesome support! We couldn’t do what we do without our friends an fans coming out and supporting us. Great weekend Meeting Jeffrey Earnhardt & fun shows, plus we’re moving up the chart, & special guest Jack Greene this Thursday! Wow what a weekend! We started Thursday at Gulf World Marine Park in Panama City beach, FL, which most of you know is our home theatre to perform in. (And one of our proud sponsors!) We had a great crowd and fun show! Friday we had a chance to go and support the local college by attending the play “Amadeus.” We would like to thank our students that come to our shows quite frequently and say that we really enjoyed going to see them perform! Saturday we had a chance to meet and hang out with Jeffrey Earnhardt! He is of course, the grandson of NASCAR legend Dale Earnhardt. He was in Panama City Beach at the Holiday Inn Resort signing autographs and meeting fans. He will be driving in the NASCAR truck series race at Talladega next Saturday. He is a great guy and you should absolutely check out his FACEBOOK page and “LIKE” him! https://www.facebook.com/JeffreyEarnhardt We really enjoyed our time with him! Plus, see, you never know what the Holiday Inn Resort has up it’s sleeve! 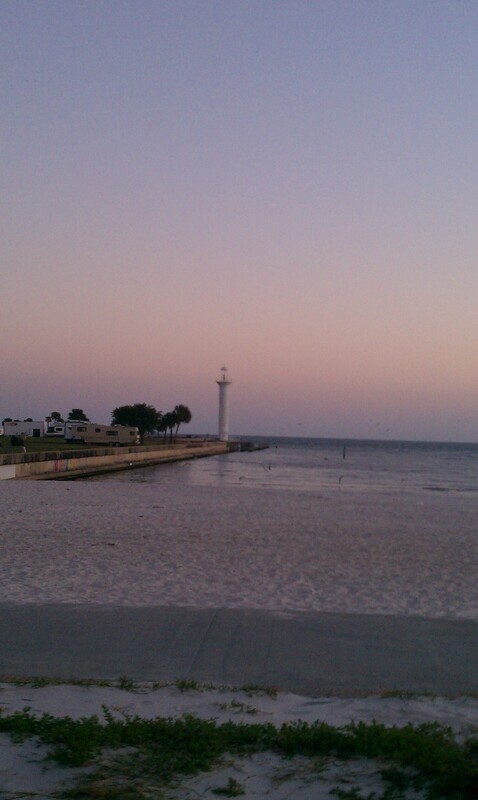 It’s a great vacation destination here in Panama City Beach. 🙂 We are proud to be associated with both of our sponsors who we call friends. Saturday eveing we had a show in Sopchoppy, FL at one of the neatest little auditoriums around! Sopchoppy Opry is a fantastic old restored school auditorium with tons of history! We really enjoy performing there and were glad to be back for a 2nd time. If you want to catch a show, the Sopchoppy Opry is open to the public the last Saturday in every month except December. Click HERE for more info. 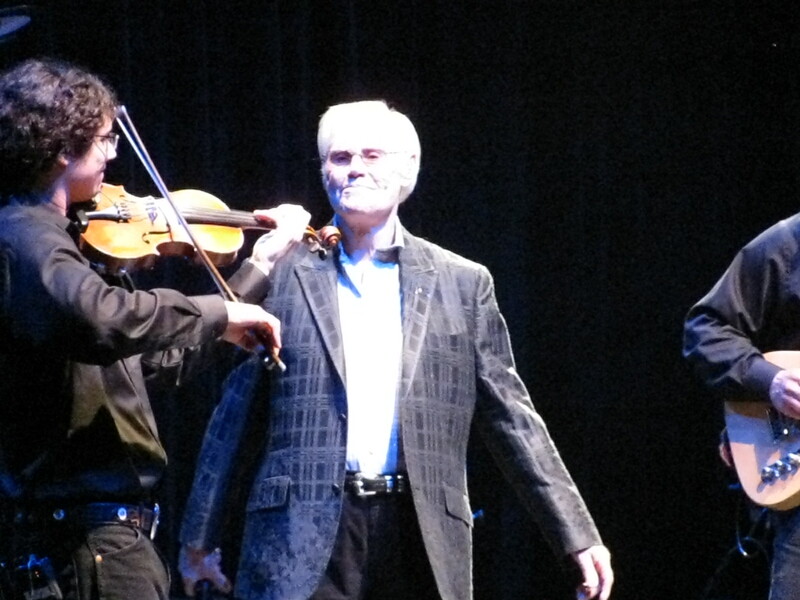 Speaking of Opry, this Thursday at our show at Gulf World we will have a special guest star! Grand Ole Opry Legend Jack Greene will sing a couple of his many hits during our show! (Like There Goes my Everything & Statue of a Fool!) We are honored to have this legend. The show is the normal start time of 7:30pm. Jack will have CD’s sales and autographs available. Come join us for a fun night and see a part of music history live, with this legend! Have you heard our new song “MY Name is America” yet? If not, you need to head on over to www.mynameisamerica.us and check it out! You can order your copy there and also, it is now available for the first time on Itunes and Amazon.com for download! We are getting such a great response to this song. It has such a timeless message about our country and our people. AND WE HAVE MOVED UP THE INDIE CHART! #28 This week! We are getting radio play and are still working hard on getting more stations to play it! Check the chart out here: http://indieworldcountry.com/index.html. # 28 on the chart! We are Now on ITunes and Amazon for Music downloads! We are super excited to announce another milestone reached! 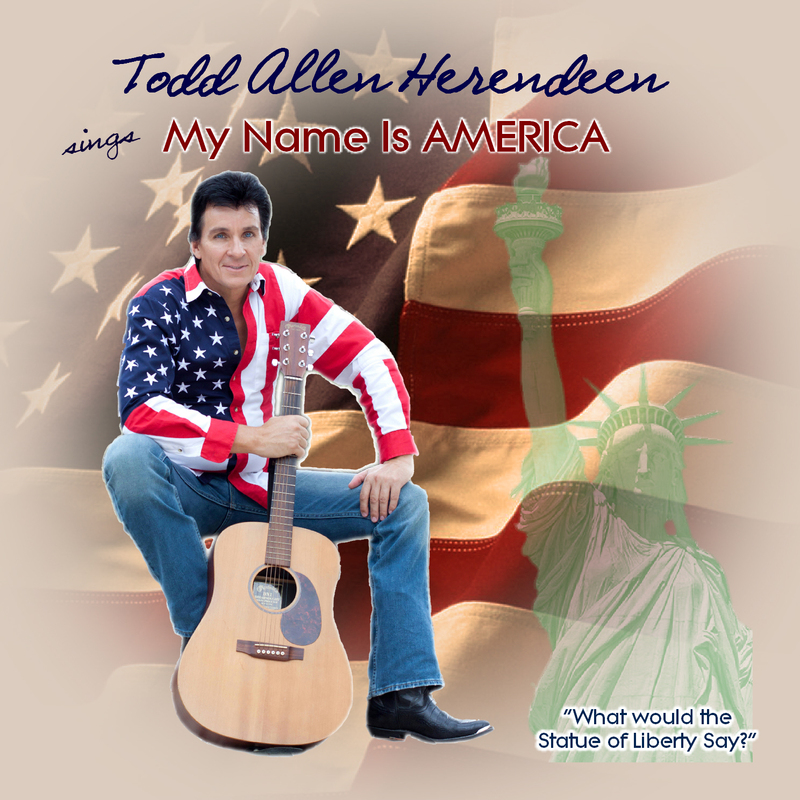 Our song “My Name is America” is now available to download on Itunes and Amazon! This is just another important piece of this project and getting the song “out there” and noticed! Spread the word about our song to anyone and everyone you know, if you like it! We appreciate ALL your help! CLICK HERE FOR AMAZON and CLICK HERE FOR ITUNES. 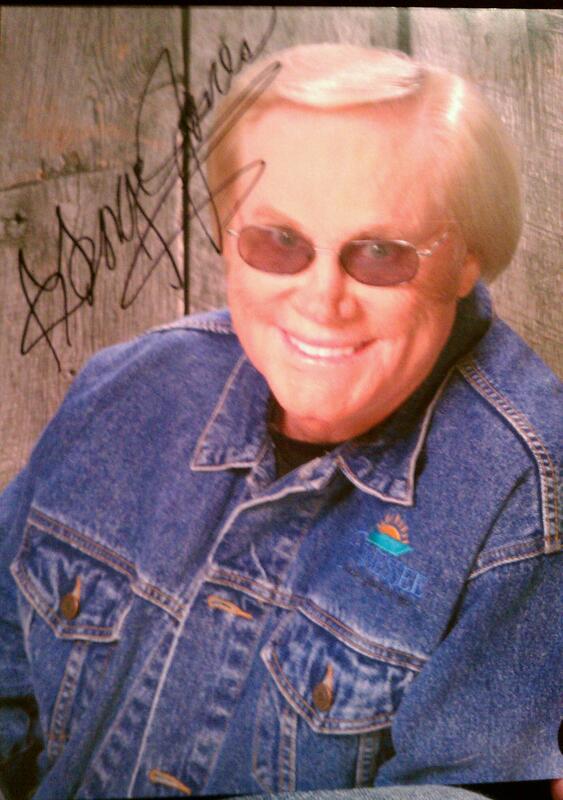 Great Weekend of Shows in Mississippi and Got to see George Jones! 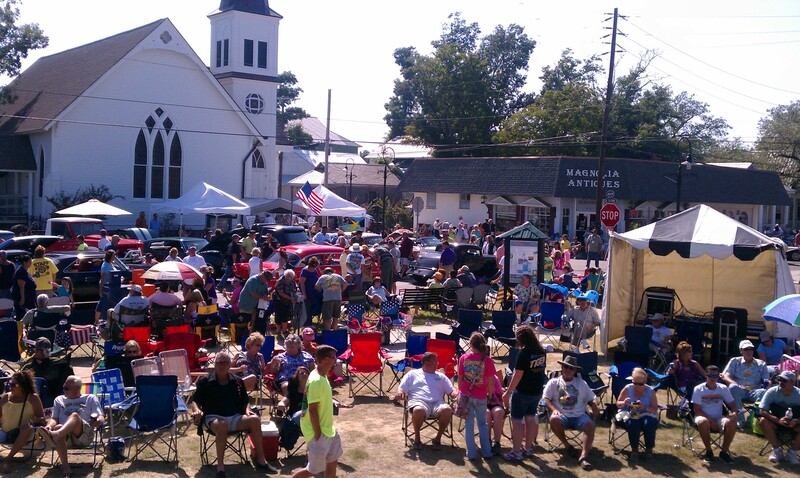 We had shows this Friday and Saturday in Mississippi for the “Cruisin The Coast” Car Show. 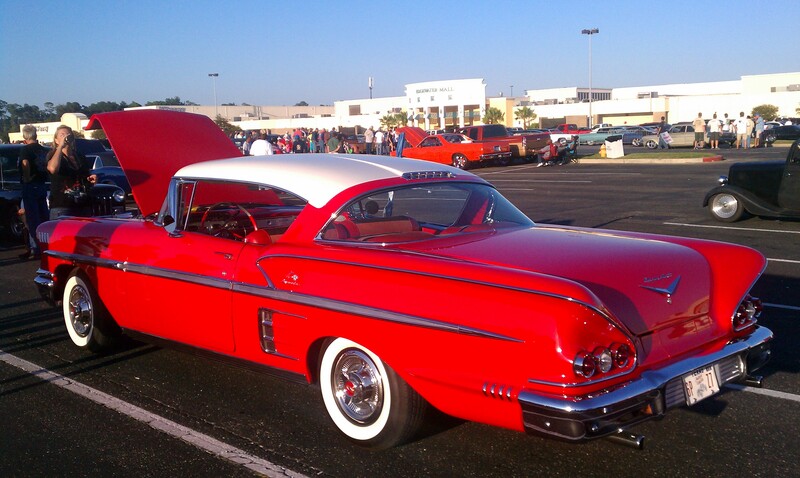 Wow , got to see some very beautiful cars and they had over 5000 cars registered! It was packed and full of fun. We played on two big outdoor stages, Friday in Biloxi and Saturday in Bay Saint Louis. It’s always a fun change to do some outdoor concerts! 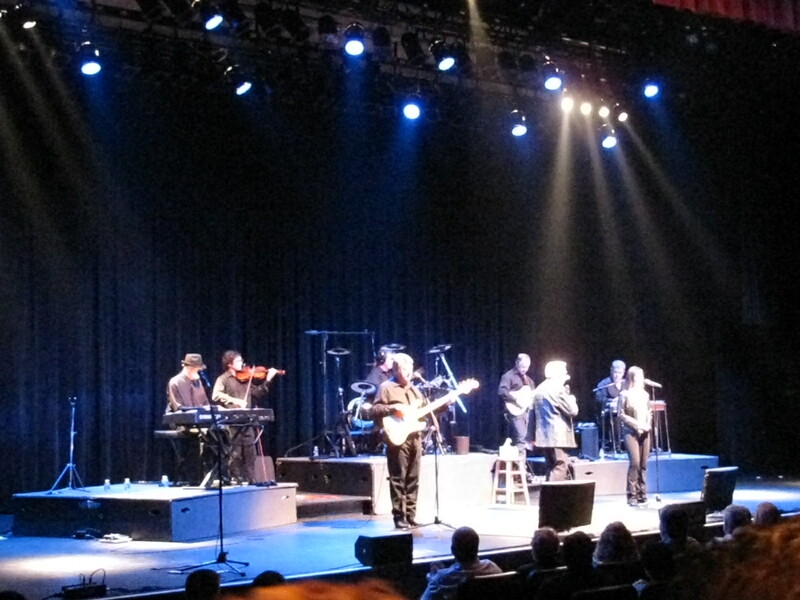 Since our show was in the afternoon, Saturday evening we all got to go tot he George Jones concert at the Imperial Palace in Biloxi. A big thanks to Bobby for making that happen! I even got an autographed photo. What a treat to see that living legend. You have to respect an entertainer who is 80 years old and still going! He’s been in the business over 60 years! Check out some of our pictures below from the weekend. Make sure and enter you email address right here to the right if you want to be notified when we enter a new story here on our blog page! As always you can find scheduleupdates and more on www.toddallenherendeen.com and www.mynameisamerica.us.